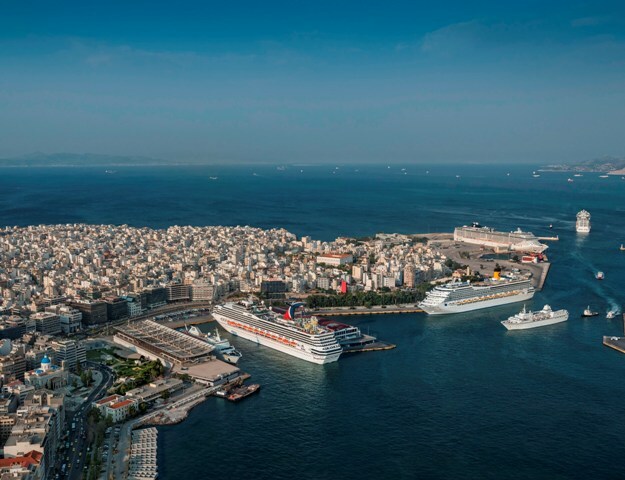 Piraeus Port, the largest passenger port in Europe, with more than 20 million passengers throughput every year, is sited in a unique geographical position for reaching multiple tourist attractions in the East Mediterranean. The Port of Piraeus, at the southeast end of the continental European Union, is located at the same area with the ancient Athenian port, which at its peak in 5th century BC, was the most important trade center of the then known world. In fact, when cruise passengers disembark, they can see the ancient protective walls of that period. 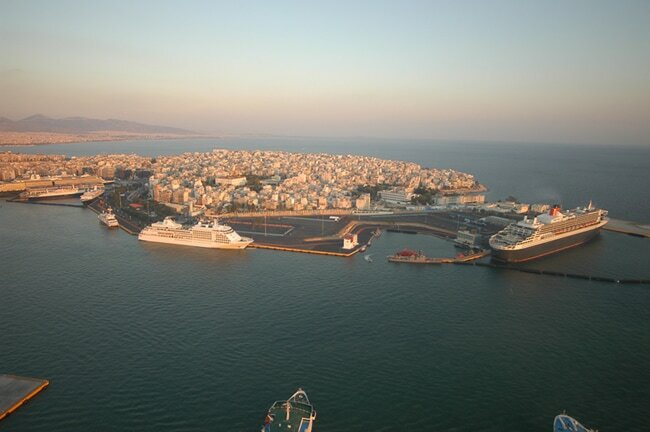 The cruise terminals of the port are in a comfortable walking distance from the city of Piraeus and the metro station. The port also serves almost all of Attica's ferry connections to Crete and the Aegean Islands. 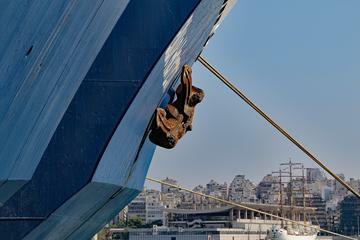 ​The Port of Piraeus is an important destination for cruise ships in the Mediterranean Sea. It has 11 places for the simultaneous berthing of vessels and can accommodate even the largest cruise ships. Be met by a courteous professional driver at your hotel. Get your Greek islands vacation off to a fine start with dedicated comfortable transportation direct to the port with the minimum of fuss. ​The Archaeological Museum of Piraeus is small in size, yet holds a number of significant pieces in its collection, relating to the history and the rise and fall of the ancient city. Plenty of major shopping areas can be found on Iroon Polytechneiou and Grigoriou Lambraki, the main avenues of Piraeus. ​You can have a walk in the harbor and look at many amazing yachts and ships. 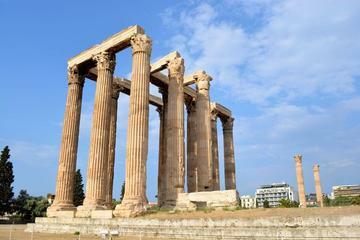 visit the Acropolis and enjoy the New Acropolis Museum.